This is another new item at TJ’s that had a pumpkin predecessor that I found highly disappointing, but which really delivered when it came to the chocolate mint version. 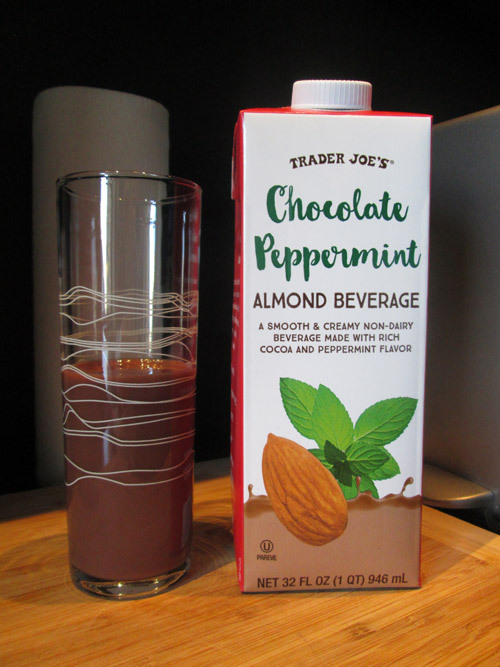 If you’ve ever had chocolate almond milk, this is basically the same thing, but with mint added. The consistency is good, not too thick or thin, with a super yummy mint flavor that could classify this as a dessert drink. The only downside is that I’m not sure there’s anything that this would really pair with outside of dessert. Unlike regular chocolate milk, I feel like this might be a little odd with cereal or anything else. Despite it’s lack of versatility though, it’s pretty great!